The O2 facial has many benefit factors including detoxifying skin, hydration, cell nourishment, stimulation of collagen production, and skin texture improvement with immediately visible results. It usually has no side effects such as stinging, itching, or burning and is safe for a sensitive skin. Used to decrease any visible flaws or defects of the face, the treatment may also rejuvenate skin that has been exposed to pollutants and other toxins that starve cells of their oxygen. 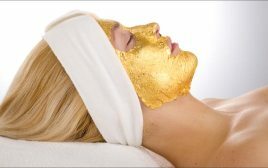 A 24 Karat Gold Facial consists of minerals, which quickly absorbed into the skin producing youthful and illuminating results. Pure gold has been used for centuries as the secret to youthful looking skin. It frees the skin of impurities, increases the proportion of oxygen, removes wrinkles, and leaves skin luminous. Gold helps slow down collagen depletion and the breakdown of elastin to prevent sagging skin. Easily massaged into the skin it gives skin a glowing and radiating complexion. Improve your skin clarity, reduce blemishes, breakouts, and irritation, soothe redness and inflammation with our specially formulated acne facial treatment! You can do a lot to treat your acne using products available over the counter. 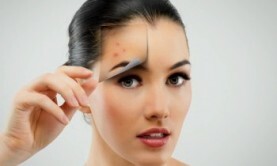 However, for tougher cases of acne, we recommend to let a professional look into the problem. Our special treatment provides the way for a healthier looking skin with boosted radiance and stimuli substance that lubricates and protects the skin. Our backs don’t receive as much attention as they sometimes require. Back facials can be beneficial in cleansing the tough-to-reach spots, targeting a variety of skin care needs such as back acne, clogged pores, and dehydrated skin. Our Back-Facial treatment includes a double deep cleansing, exfoliation, masque, extraction (if needed), a soothing and relaxing massage, followed by moisturizing and hydration masks. Collagen facial helps keep the skin of the face taut and supple, improving its elasticity and resilience and damage. This effectively decreases the wrinkles on the face, as well as eliminates subtler signs of aging. Collagen is also known to be excellent at water retention and can help moisturize the skin. Combined with a cleansing and exfoliating regimen, regular collagen facial treatments have been found to retard skin’s aging process, effectively making individuals look younger and more vibrant. A deep facial cleansing treatment, which is often called a European facial goes well beyond what a traditional facial can offer. Our treatment will purify, rejuvenate and add radiance to all skin types. Our aestheticians will analyze your skin, followed by cleansing, steam therapy, relaxing massage, removal of blackheads (if needed), gentle exfoliation, and the application of a masque customized for your skin type by stimulating the growth of new skin cells. 30% Glycolic peel is a technique used to improve the appearance of the skin on the face, neck or hands. Its primary purpose is to exfoliate the top layer of skin and reveal the fresh skin underneath fighting through superficial blemishes and pigment problems. The new, regenerated skin appears less wrinkled promoting a smoother skin texture and offer anti-inflammatory support for problematic skin – including Rosacea or acne. Want to feel revitalized and refreshed? Try out our mini-mask option that will increase firmness and elasticity of your skin and make you feel younger in just a few minutes. This facial treatment includes the fundamentals of all masks: exfoliation, cleansing, toning, massage and mask, but specifically designed for those who look for a efficient and effective ways to brighten her or his day. 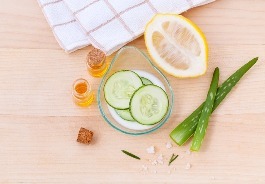 Customized organic formula treatment includes skin analysis, cleanse, toner, steam, masque, extractions (if needed), facial massage, hand, arm and décolleté massage, moisturizer, eye and lip cream to meet your skin needs. Organic facial improves the dull and rough looking skin, reduces age spots and diminishes wrinkles and fine lines. It is a great option to uplift the tone and texture for a fresher and younger looking skin. It is our special treatment – packed with Vitamins and antioxidants. Cleanse, tone, moisturize, hydrate and purify your skin. It will make your skin look fresh, young and beautiful during every season of the year. We use special set of procedures and ingredients depending on what your skin needs during each specific time of the year.